I wanted to test out the slow motion video feature of my iPhone 5s and I thought of trying it this past weekend at my daughter's soccer game. It worked great. I actually captured a bee flying by the iPhone. I don't think this would be possible without capturing at the 120fps. The Federal Communications Commission today issued a Notice of Proposed Rule making (NPRM) that seeks comment on policies regarding wireless infrastructure. Specifically, the FCC wants to streamline the environmental and historic preservation review process for putting in new small cells and distributed antenna sites; remove barriers that prevent temporary equipment from being installed; and clarify the Commission's time period state and local governments use to review applications for cell towers. The FCC wants to make it easier for wireless companies to install the equipment needed to operate today's wireless broadband networks. 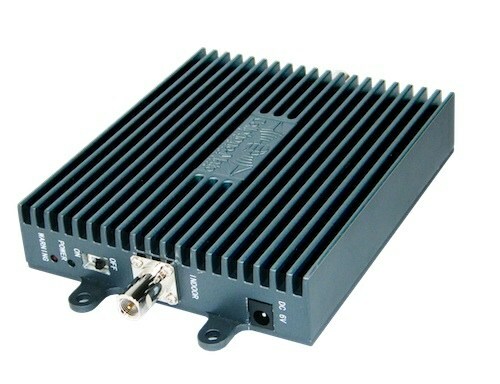 Congrats to James H. of Locust Grove, Virginia who just won a $25.00 Restaurant.com gift code for writing a review for Cellphone-Mate 3-Watt Verizon 4G LTE Direct Connect Amplifier - CM700V-32 [700Vmhz ONLY] at 3Gstore.com! Every week we randomly pick one product review from the previous week and award the writer a $25.00 gift code. We appreciate ALL the reviews our customers write, whether they are positive or negative - honest reviews like James H.\'s help other customers decide if the product is right for them. After you purchase a product from 3Gstore.com, we encourage you to log in and 3Gstore.com and leave a review letting people know how the product worked for you - you'll be helping others, and you'll automatically be entered to win a restaurant.com gift code!. Bottom line: the amplifier fits its description-- it increases signal strength, which in my case went from -75dbm to -52dbm. Before I bought the amplifier, I would get ~-75dbm signal strength (I'm using a Netgear MBR1515 LTE Router). I also periodically (every six hours or so) lost connection to a tower nearly two miles away. I thought increasing signal strength would alleviate the connection problem. My bandwidth is ~15MBit down and ~10MBit up. BTW, Verizon recommends -56dbm or greater signal for a reliable connection. I called 3gStore, and the CSR was very helpful. I had previously purchased a yagi antenna and LMR cable. Consequently, I already had the necessary connectors to loop in the amplifier. I received the amplifier in two days, which I considered conveniently quick. Kudos to 3gStore for the prompt order processing. I hooked it up and I immediately experienced better signal strength. I typically get ~-52dbm now. However, my bandwidth hasn't really shown any improvement (for all intents and purposes, it's the same), nor has the reliability of my connection improved. It's possible the router is to blame, and I'm not sure what I can do about it. Netgear has not until now updated its firmware. So, to reiterate, the amplifier indeed increases signal strength, and it hasn't improved the consistency of my connection. I think I'll just have to live with it, given I live in a rural area, and the only alternative is satellite internet, which is not a good option. BTW, I have grandfathered unlimited data through Verizon, so at least I don't have to worry about bandwith caps. I conditionally recommend purchase contingent upon the possibility of using a different router providing a more reliable connection. Sprint laid off an additional 161 Clearwire employees on Friday and said it would eventually lay off 75 percent of Clearwire’s workforce as a part of its $3.5 billion acquisition of the company. Sprint has laid off a total of 1,000 employees since it was acquired by SoftBank back in July. Minors in California will have a chance to remove embarrassing photographs and potentially damaging postings on social media websites under a bill that has been signed into law by California Gov. Jerry Brown. The law takes effect on January 2015 and will require website operators to erase postings when asked by the minor to do so. SB568 gives those under age 18 a second chance after they post something online and later regret it.